← Review: Mercure Chiang Mai – good value, friendly service outside the old town! 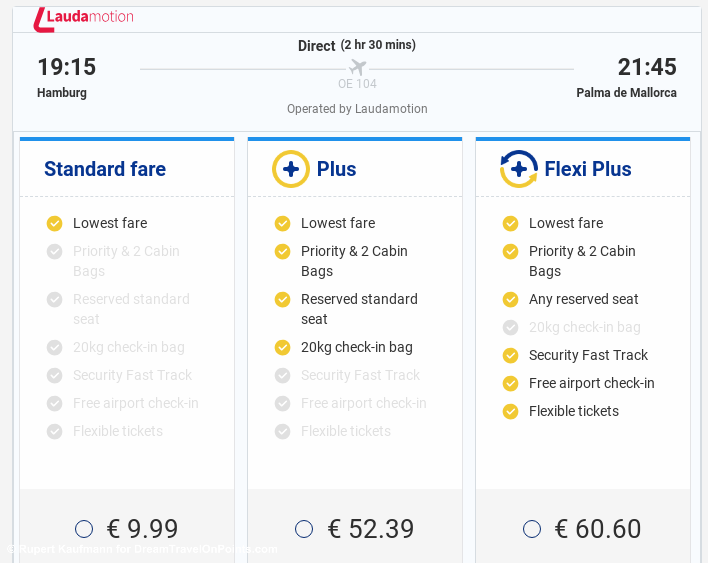 Updated 2019: Ryan Air is the low-cost carrier everybody loves to hate: With fees for everything from boarding passes to seats and luggage. They’ve been in the news for horrendous name change fees and a CEO musing about fees for onboard toilet use, earning them a nasty reputation. 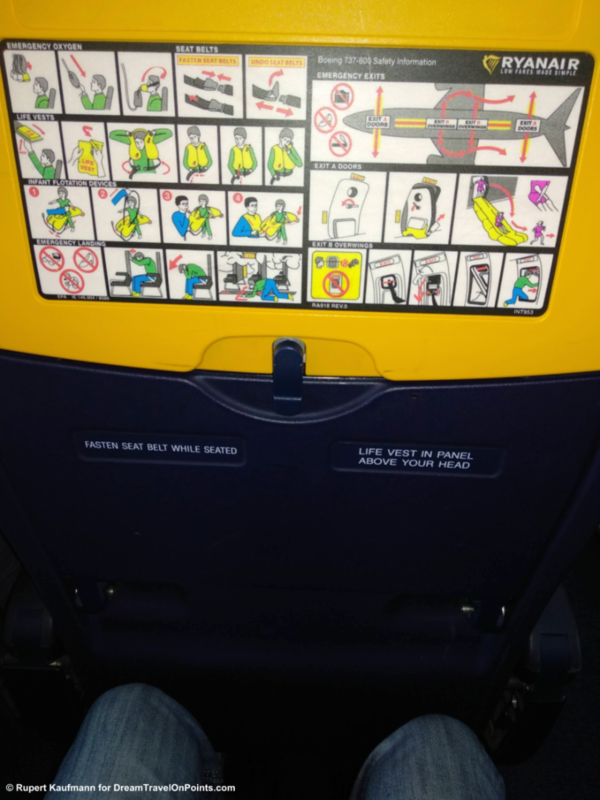 I took a number of dirt cheap flights with Ryan Air in the last three years and there certainly are issues – but my experience was better than I expected. Find out the facts & figures of Ryan Air, what experience to expect and how to make the most out of the Ryan Air Exprience. Facts & Figures: Ryan Air (FR) was founded in 1984 in Dublin, Ireland, and was one of the first low-cost carriers (LCC) with a fanatic focus on low fares. With a vast fleet of 444 Boeing B737 (average age of 6.8 years) Ryan Air flies to 220 destinations in 37 countries, mostly in Europe, Northern Africa and the Middle East. Flying to secondary airports or smaller towns is one of their cost saving strategies. Similar to other LCC, SkyTrax rates Ryan Air as a 3-star airline. 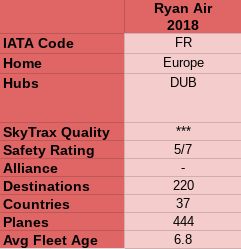 AirlineRatings gives Ryan Air a 5-out-of-7 safety rating, due to Ryan Air not completing the (voluntary) IOSA Safety Audit. The Experience: Ryan Air pioneered bundled fares in Europe, charging for seat assignments, luggage, food and pretty much everything else you can think off, and there often is a higher price at the airport than online, resulting in much outrage when inexperienced travelers were stuck with high fees to print a boarding pass or check their overweight luggage. Selecting your seats, priority boarding, the ability to bring your carry-on aboard and checked bags all cost extra, but it’s very clear what you get for your money. Ryan Air tightened it’s carry-on policy in November 2018 and only allows a small personal item as part of the fare! I personally pay for a seat, priority boarding and two bags on board, allowing me to fly comfortably and getting through the airport quickly! I pack lightly and the carry-on allowance of 10kg is plenty for me, more than some full-service airlines (cough… Lufthansa…cough). 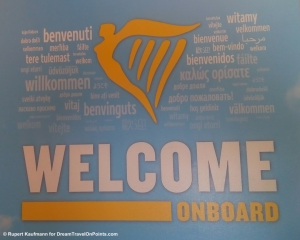 On my most recent flight with Ryan Air during the holidays, I had to check a luggage – and that drastically made the experience worse. The check in counter only had two staff and a long line had formed. One started working a few minutes plus 2h prior to departure, the other continued to play on her phone till the 2h mark before starting to process passengers. The line moved very slowly and it took about 40 minutes to complete the process. You have to check in online and print your boarding pass or in the mobile app (yes, there is a fee to print the boarding pass at the airport). At the gate, there are lines for Priority and everybody else and gate staff tends to enforce the rules for boarding and carry-on, so don’t hope to “sneak through”. The boarding process is also about as low-cost as I have seen it, it’s optimized for expediency not for comfort. After standing in the line to check boarding passes, you are shuffled on to wait at the door for the bus – there is a lot of standing and waiting. 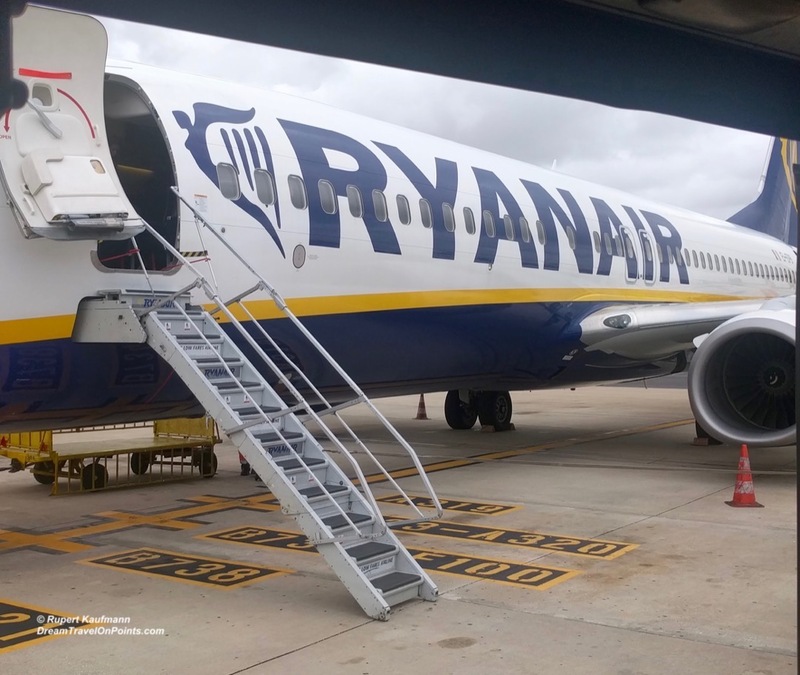 Even when the plane is at a gate with a jet bridge, Ryan Air will use the ladder built into the B737 at the front and a staircase at the back to board the plane. It’s rather uncomfortable, if you have to go down the stairs and back up in those situations and a bit of a nuisance. I found onboard staff to be comparable to other European airlines, professional, if not the most friendly. 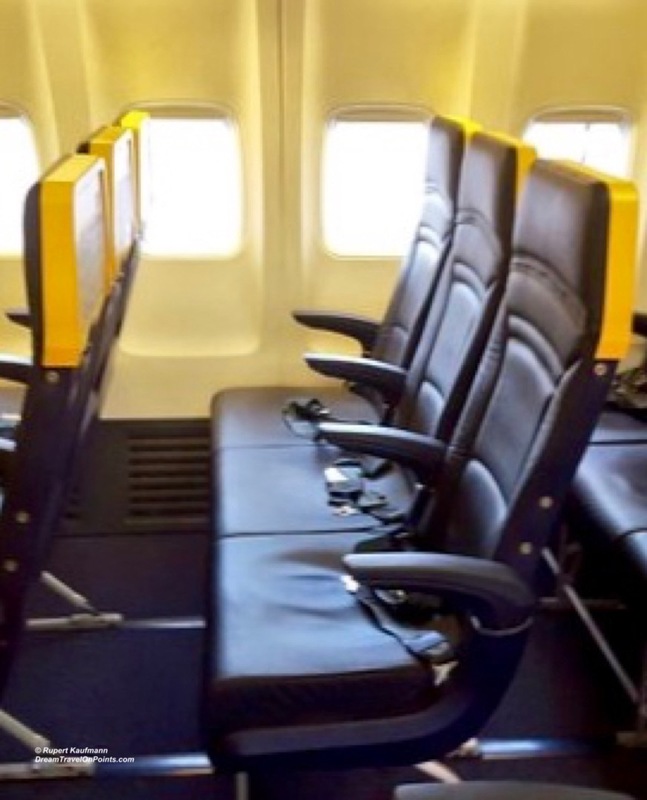 Ryan Air’s Boeing B737-800 have a standard 3-3 layout with a tight 30in seat pitch, offering little legroom. The slimline seats are clad in leather, offer little padding and don’t recline. The blue and yellow color scheme is nice enough. I found the seats to be on par with other LCC and comfortable enough for flights of under 4h. Ryan Air offers an extensive menu of food and drink, including wine and beer. Prices were reasonable, if a little more expensive than other LCC like WizzAir. Ryan Air claims to have an on-time record of 88% – but this has not been confirmed by independent source OAG who reports on this for other airlines. During the last 12 months Ryan Air struggled with regular reports of huge delays. My last flight offers anecdotal evidence – it was delayed by an hour. Bottomline: Ryan Air serves many routes across Europe, often with no non-stop competition by mainline carriers. Their low sales fares are often less than a train or bus ticket for the route, opening up destinations people would not have considered due to cost or time required. Ryan Air doesn’t make excuses for being cheap and they don’t hide it either. As long as you pay attention during the online booking, you shouldn’t have any surprise expenses. And if you can travel without checked bags or plane food, you can travel very, very cheaply, often less than 10% than what a full-service airline charges! It’ll also help you avoid the worst part of my Ryan Air experience, the check-in counters. Be prepared for delays, as Ryan Air is struggling with employee relations and operational issues. I wouldn’t hesitate to fly Ryan Air again on short, non-stop routes without luggage – you certainly get a lot for your money!